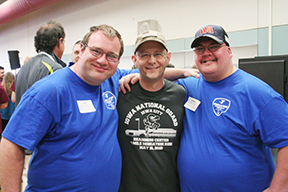 Thank you for your interest in coaching for Special Olympics Iowa! Being a Special Olympics coach can be one of the most rewarding experiences of a lifetime – for both you and the athletes you mentor. Special Olympics coaches often find that the personal rewards received are equal to or even outweigh the benefits they offer the athletes. Coaches give Special Olympics athletes the most immediate awareness of their own worth, ability, courage and capacity to grow and improve. Send all completed forms and quizzes to classa@soiowa.org. Complete a SOIA Sport Online Training for each sport you train athletes in. Re-certification is required every three years. For re-certification, retake a SOIA Sports Online Training, or additional online training at your own cost. Find your area for Area Director contact information and area competition information.